Every year, hundreds of thousands of workers are diagnosed with musculoskeletal disorders, or MSDs. Understanding how to recognize and reduce the stress on your body from your daily work environment will help greatly reduce the likelihood of developing an MSD. 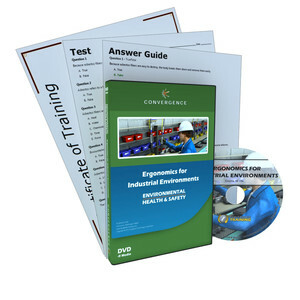 This course discusses MSD prevention techniques in industrial environments, including engineering and administrative controls as well as motion-based, physical, environmental, and psychological risk factors associated with MSDs. Following the tips and guidelines illustrated in this course will reduce your chances of suffering from an MSD and help you have a healthy, productive work experience.